A wet qualifying session at the 2005 Japanese Grand Prix ensured Jarno Trulli his first pole position. The traditional frontrunners struggled and started the race from further down. Kimi Raikkonen started the race from the seventeenth place. A safety car at the end of the first lap, coupled with some excellent driving ensured that the Finn was close to the top of the grid in the first half of the race. The second half of the race saw some unbelievable driving from Raikkonen, that saw him close the gap of 20 seconds to the race leader to just a few car lengths before the last three laps of the race. 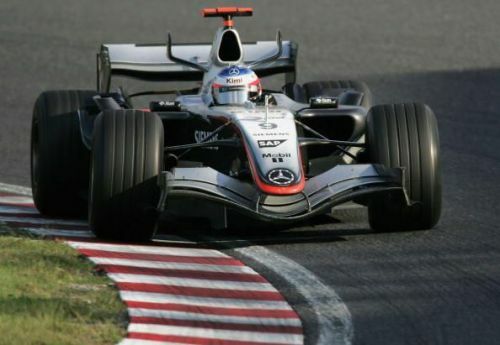 Raikkonen pulled off a spectacular overtaking manoeuvre over Renault's Fisichella on the final lap and secured a memorable race win at the Suzuka Circuit.